As moms, we try to teach our children the importance of compassion and helping others. We also want them to appreciate and be grateful for what they have, and to share from that bounty. There’s no better way to teach our children all of this than by involving them and helping them to put their faith into action. MOSAIC Kids will do just that. Whether it be visiting the local assisted living/nursing home monthly, participating in bi-monthly service projects, or making and delivering baked goods to community workers, our children will learn the importance and impact of sharing their time and talent on both the local and global levels. Without a doubt, there are a lot of problems in the world. By participating in MOSAIC Kids, our children will learn that although they are little, they can have a big impact. By being Gods hands and feet on earth, they will realize that God sent us all, even the little children, to be the solution. Towards this end, each MOSAIC Kids gathering will begin and end with a prayer that invites God into our activity, blesses our time together, and turns the activity itself into a prayer. Moreover, at the end of each gathering, moms/caregivers will be given a list of “Questions for Reflection.” Whether on the car ride home, at dinner that evening, or at bed time, moms/caregivers will discuss these questions with their kids. As each child shares their thoughts and feelings uninterrupted, they will come to realize the profound impact of sharing their time, talent and love. It is through this “Faith Sharing” piece that moms can help their children process the experience, as well as emphasize the concept that doing for others is the same as doing for Jesus. Children from infants to high school students are welcome to join. 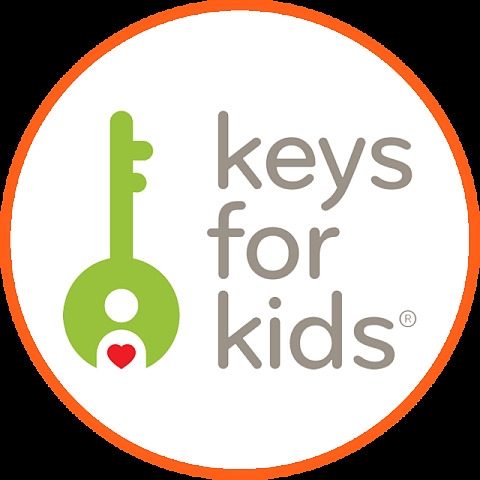 MOSAIC Kids is a non-denominational program. Families of all faiths are welcome. This is not a drop-off program. Moms/caregivers are required to attend, participate, and supervise their own children at all times, at all MOSAIC Kids events. For more information and/or to join MOSAIC Kids, contact Claire McGarry at clairemcgarrywrites@gmail.com. MOSAIC Kids visit Warde Health Center to celebrate Christmas with the residents. MOSAIC Kids pack 64 bags with hats, gloves, scarves, Christmas cards and candy canes to be distributed to the homeless through Merrimack Valley Hope Mission. The McGarry family deliver baked goods to the office staff at St. Matthew Parish on behalf of MOSAIC Kids Project Appreciation: Recognizing and thanking different entities in the community for what they do. MOSAIC Kids visit Warde Health Center to celebrate Halloween with the residents. Kindness Rocks! : MOSAIC Kids listened to stories about kindness, celebrated the end of the year, and then made kindness rocks, foot washing kits for Project Sole Hope, a blanket for Project Linus, and placemats for Meals on Wheels. The Sudati family deliver baked goods to the Windham Fire Department on behalf of MOSAIC Kids Project Appreciation: Recognizing and thanking different entities in the community for what they do. The Weller kids deliver baked goods to the Windham Town Clerk’s office and the Windham Dump on behalf of MOSAIC Kids Project Appreciation: Recognizing and thanking different entities in the community for what they do. 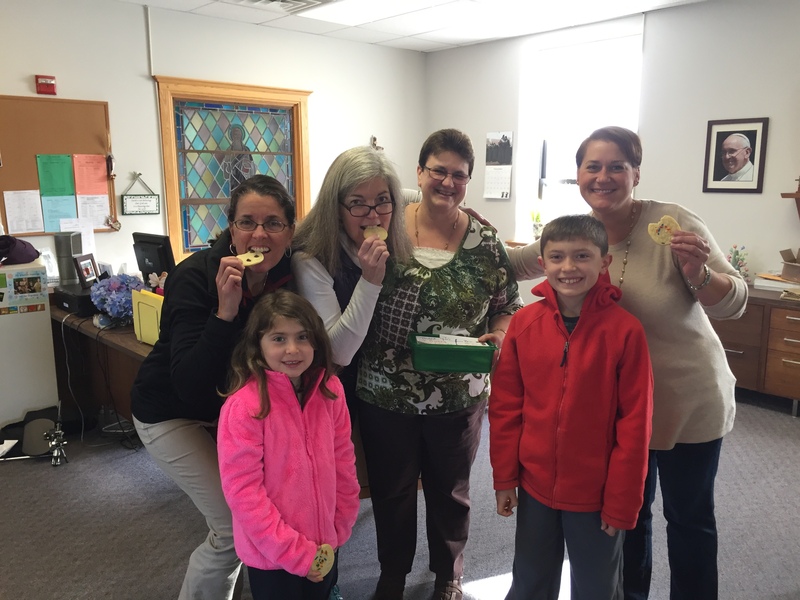 The McGarry kids deliver baked goods to the Windham school custodians on behalf of MOSAIC Kids Project Appreciation: Recognizing and thanking different entities in the community for what they do. MOSAIC Kids visit Warde Health Center to celebrate Spring with the residents. MOSAIC Kids visit Warde Health Center to celebrate Valentine’s Day with the residents. Ryan Gilsenan delivers baked goods to the Windham Plow Drivers on behalf of MOSAIC Kids Project Appreciation: Recognizing and thanking different entities in the community for what they do. MOSAIC Kids sends 11 filled gift bags, art supplies and OTC medicine to the Dominican Republic with St. Matthew’s mission group. Kindness Project Day: MOSAIC Kids listened to stories about kindness projects, and then cut jeans for Sole Hope shoes, made Christmas Jars, created placemats for Meals on Wheels, and decorated Kindness Jars. The Weller kids deliver baked goods to the Windham Post Office staff on behalf of MOSAIC Kids Project Appreciation: Recognizing and thanking different entities in the community for what they do. MOSAIC Kids pack Christmas gift bags for children in Honduras, and make placemats for Meals on Wheels. MOSAIC Kids Halloween Party at Warde Health Center. 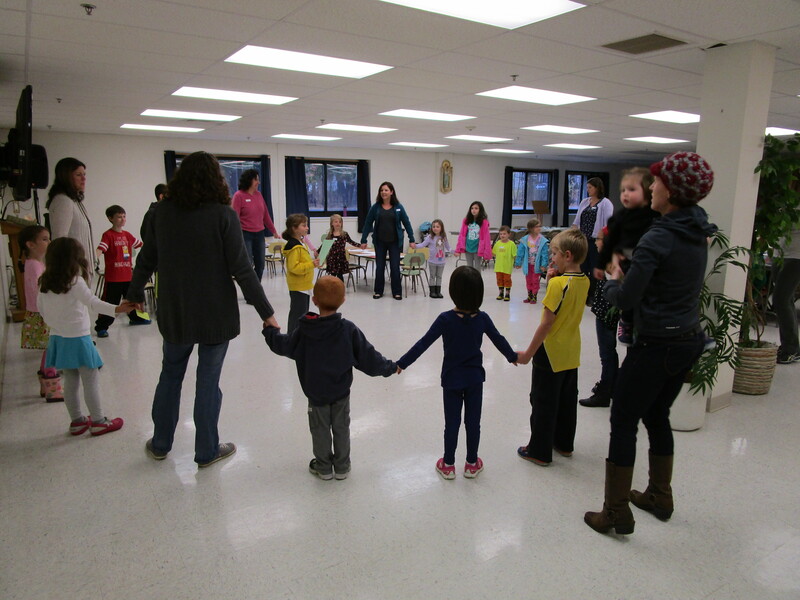 The Gilsenan Family rakes out the St. Matthew Prayer Path as their Service Project. MOSAIC Kids pack 16 “Birthday Party In a Box” packages for Shepherd’s Pantry. The Wilkins family deliver baked goods to the Nesmith Library Staff on behalf of MOSAIC Kids Project Appreciation: Recognizing and thanking different entities in the community for what they do. MOSAIC Kids visit Warde Health Center for an end of the year Carnival Party with the residents. The Merrill family deliver baked goods to the Windham Fire Department on behalf of MOSAIC Kids Project Appreciation: Recognizing and thanking different entities in the community for what they do. The Sudati family deliver muffins and a thank you card to the Windham Post Office on behalf of MOSAIC Kids Project Appreciation: Recognizing and thanking different entities in the community for what they do. 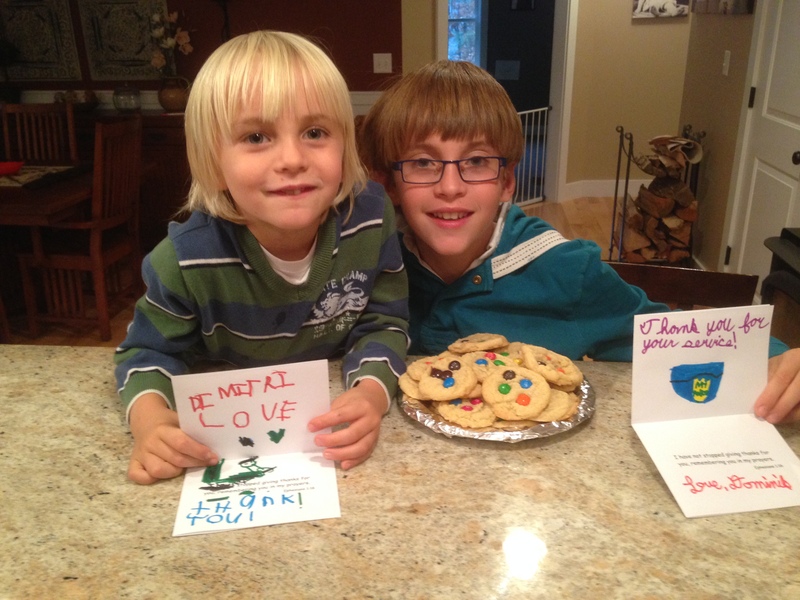 The Weller kids make and deliver treats to the Town Dump workers in Windham on behalf of MOSAIC Kids Project Appreciation: Recognizing and thanking different entities in the community for what they do. MOSAIC Kids visit Warde Health Center to celebrate Valentines Day with the residents. The Gilsenan Family make and deliver baked goods to Plow Drivers in Windham on behalf of MOSAIC Kids Project Appreciation: Recognizing and thanking different entities in the community for what they do. MOSAIC Kids pack gift bags for Amigos de Honduras. The McGarry kids make and deliver baked goods to St. Matthews Parish in Windham on behalf of MOSAIC Kids Project Appreciation: Recognizing and thanking different entities in the community for what they do. Christopher Orlep delivers baked goods to St. Patrick’s Parish in Pelham on behalf of MOSAIC Kids Project Appreciation: Recognizing and thanking different entities in the community for what they do. MOSAIC Kids Halloween Party at Warde Health. MOSAIC Kids End of Year Carnival Party at Warde Health. Christopher, Ella and Alicja Glinski deliver baked goods to Windham’s Grace House staff on behalf of MOSAIC Kids Project Appreciation: Recognizing and thanking different entities in the community for what they do. Darby and Declan Madden deliver baked goods to Windham’s Nesmith Library on behalf of MOSAIC Kids Project Appreciation: Recognizing and thanking different entities in the community for what they do. Justin Sudati delivers baked goods to the Windham Town Clerk’s Office on behalf of MOSAIC Kids Project Appreciation: Recognizing and thanking different entities in the community for what they do. MOSAIC Kids celebrate Earth Day by picking up trash at playgrounds, etc. MOSAIC Kids April Drop-In Visit to Warde Health Center. MOSAIC Kids collect 1,228 items/dollars to donate to Shepherd’s Pantry. Mahre Duprez delivers baked goods to the Billerica, MA Fire Department on behalf of MOSAIC Kids Project Appreciation: Recognizing and thanking different entities in the community for what they do. Santiago Jaquez delivers baked goods to the Salem Fire Department on behalf of MOSAIC Kids Project Appreciation: Recognizing and thanking different entities in the community for what they do. The Crowley Boys deliver baked goods to the Windham Preschool staff on behalf of MOSAIC Kids Project Appreciation: Recognizing and thanking different entities in the community for what they do. MOSAIC Kids Food Pantry Planning Session: Our target goal is to collect 1,000 items to donate to Shepherd’s Pantry! MOSAIC Kids March Drop-In Visit to Warde Health Center. Olivia (Liv) Steiner enjoys one of the blankets made by MOSAIC Kids. Jocelyn McGarry delivers baked goods to the Windham Transfer Station on behalf of MOSAIC Kids Project Appreciation: Recognizing and thanking different entities in the community for what they do. Jocelyn McGarry delivers baked goods to the Windham SAU on behalf of MOSAIC Kids Project Appreciation: Recognizing and thanking different entities in the community for what they do. MOSAIC Kids Valentines Day party at Warde Health. MOSAIC Kids Drop-In visit at Warde Health. Nicholas says the opening prayer. Zack entertains the residents with his clarinet. Mason says the closing prayer. Justin Sudati and his mom deliver baked goods to Shepherds Pantry as part of MOSAIC Kids Project Appreciation: Recognizing and thanking different entities in the community for what they do. MOSAIC Kids make 20 blankets to be distributed to needy children by the Linus Project. Joining hands for Luke saying the opening prayer during the December visit to Warde Health Center. The Madden kids deliver cookies to the custodians at Windham High School as part of MOSAIC Kids Project Appreciation: Recognizing and thanking different entities in the community for what they do. The McGarry kids deliver cookies to the custodians at Windham Middle School, Windham Center School, and Golden Brook School as part of MOSAIC Kids Project Appreciation: Recognizing and thanking different entities in the community for what they do. The Weller kids deliver cookies to the staff at St. Matthews Parish as part of MOSAIC Kids Project Appreciation: Recognizing and thanking different entities in the community for what they do. The Sarantis kids deliver cookies to the Windham Police Department as part of MOSAIC Kids Project Appreciation: Recognizing and thanking different entities in the community for what they do. 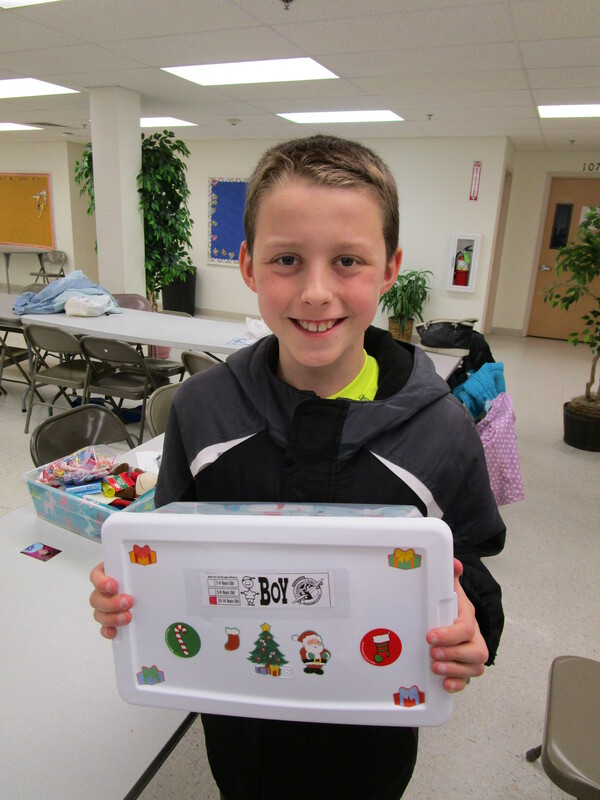 MOSAIC Kids pack 30 boxes for needy children overseas through Operation Christmas Child. Joining hands as Darby reads the opening prayer. The 30 boxes the children assembled and prayed over. 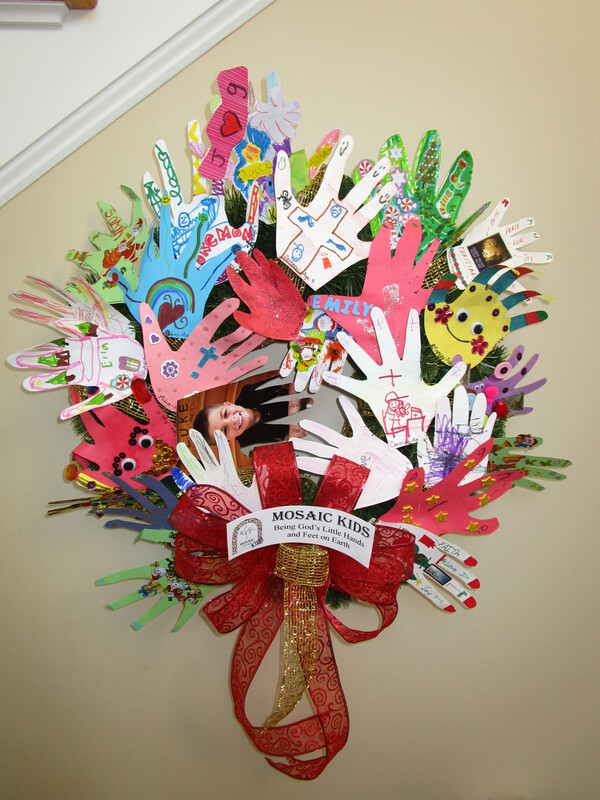 MOSAIC Kids visit Warde Health Center to honor the veterans and visit with the residents. 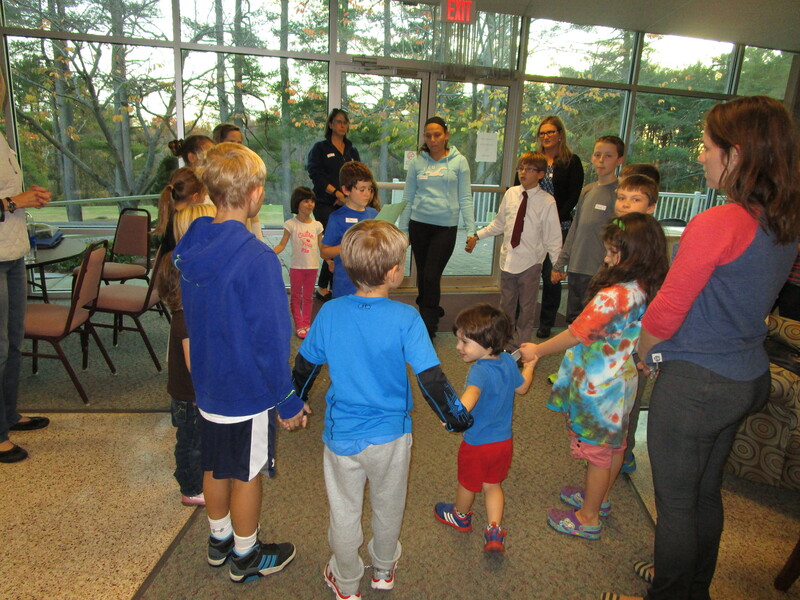 Joining hands for the opening prayer during the November visit to Warde Health Center. 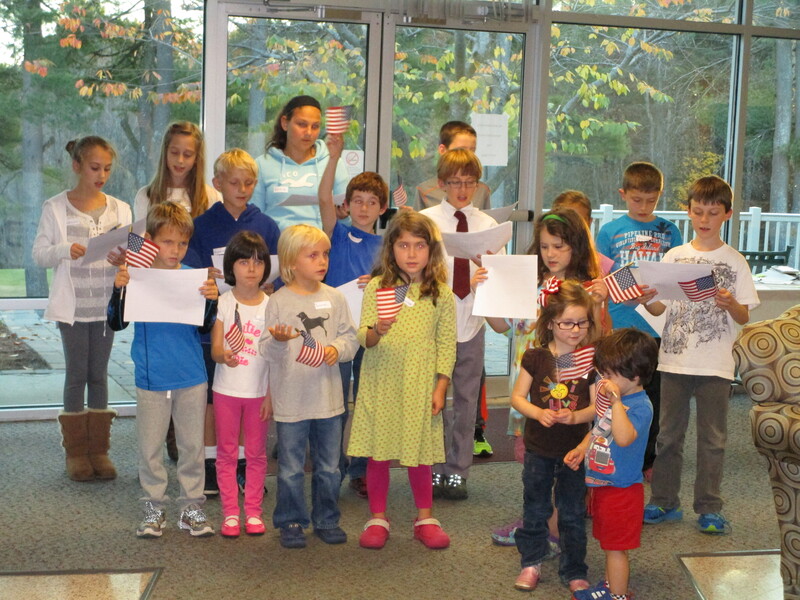 Singing patriotic songs for the Veterans at Warde Health Center during the November visit.